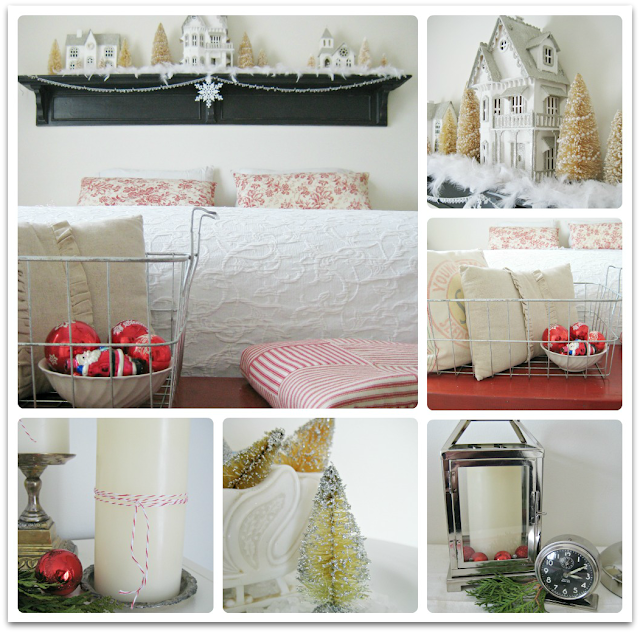 It's Holiday Home Tour Time! 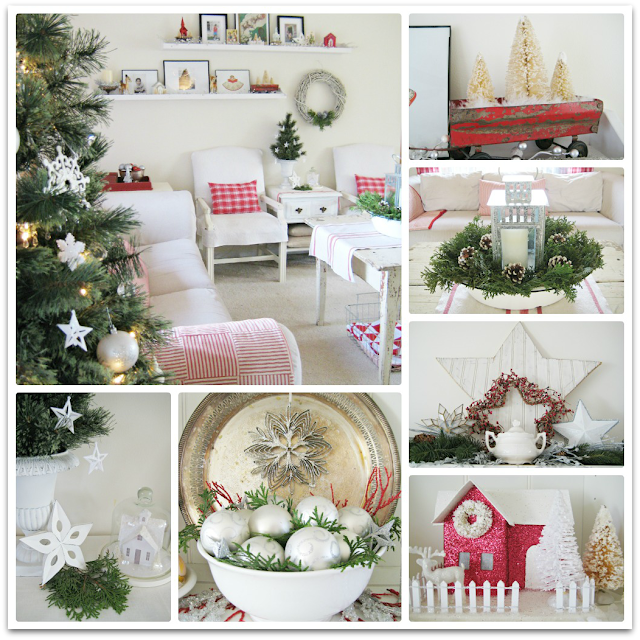 I've created a collage of each of my favorite holiday decorated spaces. You can click on the photo's to take you to the original posts if you'd like to see more details. Let's get started. . . . Your home looks just beautiful. I love each and every thing. The white and red is perfect! It's all so fun! I have many of the same or similar vintage items in our newly painted dining room. If you have the time, stop by later this week for a peek! Love your style. ZI like this idea. All my favorite holiday photos all in one place! I LOVE EVERYTHING, Robin! And the collage idea is wonderful...I need to try that! Loving the red, white, and silver- so festive and crisp! LOVE IT! I'm ooohing and aaaahing over here. Red and white...love the contrast! Beautiful job! How Beautiful!!! Just hopped over from Common Ground. I am your newest follower. Excited!!! I hope you will stop by and visit and follow along with me too. Blessings! Love it! Especially all the pops of red...truly beautiful, Robin! 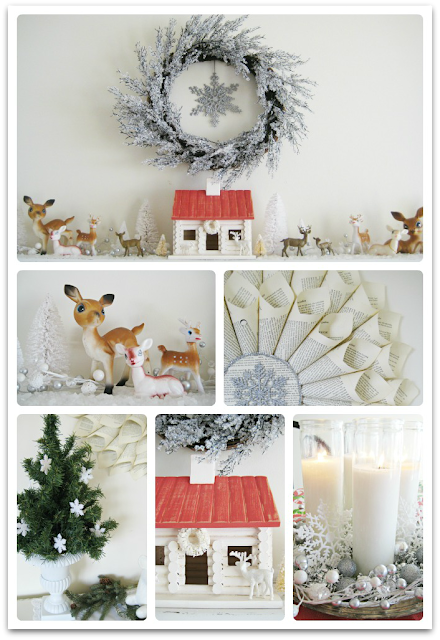 What a wonderful way to share your home and decorations! I love your blog so much...I'm going to put it in my list of favs! Happy holidays! Love it. What a beautiful home and all your red and white just gets to me. I just love it! Every thing is beautiful, Robin! 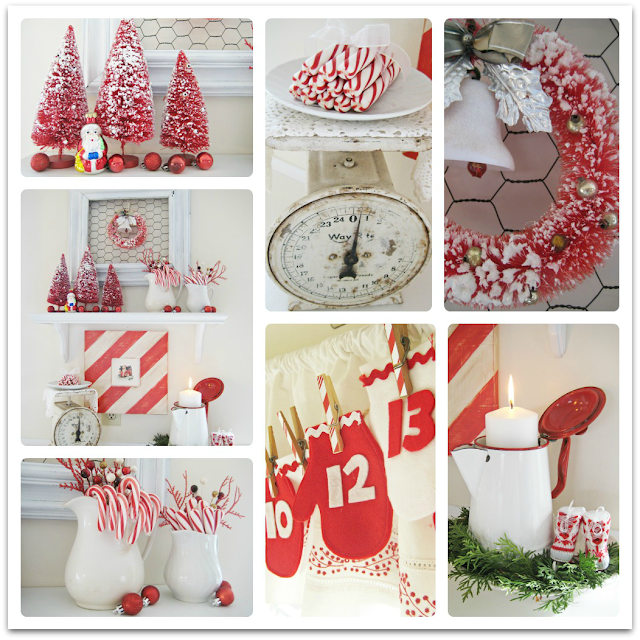 I love your use of red and white, it's simple but really pretty. Very lovely home. Thanks for taking us for a tour. Have you considered having Holiday Letting Companies to rent that out for you? If that is for rent, I would gladly stay there during the holidays. How beautiful, thanks for the tour! Robin, your Christmas decorations are so sweet. I love all the red and white you had going on. What a comfy and beautiful home you have!